As soon as your new foal is born, you’ll have to start providing immediate care to ensure they remain in optimum health and develop well. The most important part of this process is ensuring that your foal receives first milk from their mother as soon as he/she is up on its feet as this provides all the antibodies needed for the foal to fight infections. Once the foal is born, they should be standing within 1 hour of birth and they should ideally nurse colostrum within the 3 hours. You will need to dip the foal’s navel with a tincture of iodine (7% is recommended) at least twice, but make sure not to get any on the foal’s skin. You must observe your new foal for the passing of manure and urination and a veterinary exam must be done on both mare and foal. 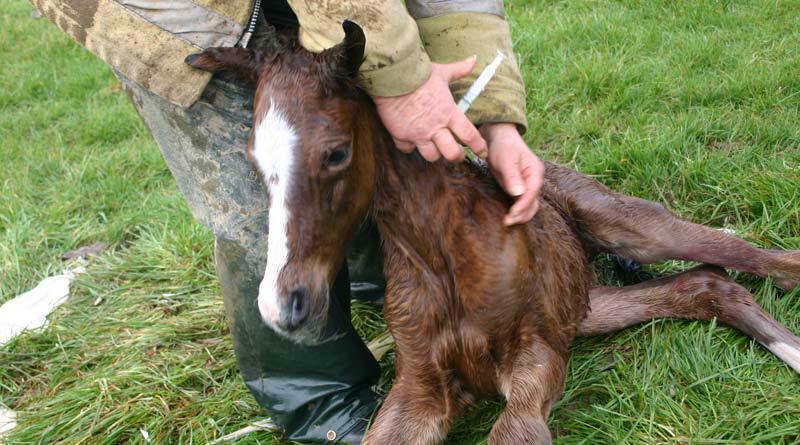 If the foal is born from a non-vaccinated mare, the foal’s vaccinations should be given at 3-4 months of age, while a foal born from a vaccinated mare should begin vaccinations at 6 months. As the foal receives essential antibodies from the mare’s milk, it isn’t necessary to vaccinate before this time. Horse Fever and Strangles are both optional vaccines which may be given between 3-6 months of age in two separate doses. Caring for a foal is time consuming, so you may want to teach your farm assistant to administer dewormers so you can get back to online blackjack. If you opt to castrate your foal, this is typically done at 6-12 months of age. Foals are generally weaned between 4-6 months of age and the best way of doing so is to completely separate the mare from the foal. The best option is for the mare to be out of sight and hearing of the foal for 2-4 weeks. It’s important that your foal receives a daily turnout and regular time in the pasture as epiphysitis or joint problems may arise from too much time spent in a stall or an irregular exercise program. Your foal will have plenty of energy and they won’t be happy or fulfilled in a confined space. Your foal should begin snacking on hay from 1-3 weeks of age and at 2-3 weeks a creep feeder for grain should be made available for the foal so that the mare cannot indulge in the extra feed. The ideal contents of the creep feeder should be a 16% protein foal grain mix and the feeder should be emptied of any leftover grain on a daily basis and replaced with fresh grain. Be sure not to overfeed the foal and the best guideline is 450g of feed per month of age.